Technically they never went away…. But amid the completely rebooted live shows, headline DJ gigs, remixes of Mefjus and Ry X and their massive Mosaik Remixed album Camo & Krooked haven’t actually released any new original productions in over 18 months. Until now. 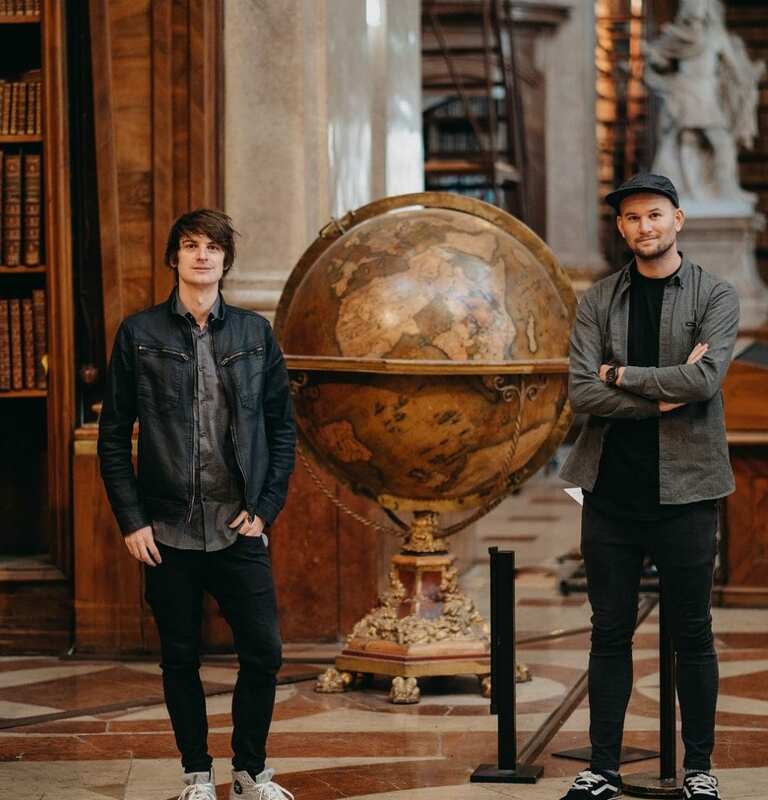 Atlas is Camo & Krooked’s first new original track since June 2017. Instantly smacking with their distinctive synths and harmonics, loaded with an epic wind-up intro, galvanised by a vital, full-tilt drop and emotionally charged with beautiful breakdown Atlas comes to you on UKF, kicking off a whole series of special UKF10 releases that will drop throughout the year. It also kicks off a whole series of releases from the Vienna duo. Fully recharged and reloaded, they’ve spent the last 18 months grafting, learning and grafting some more. And they’re finally ready to drop it on us…. We saw you linked with Noisia last month? Krooked: Yeah! It was great fun! Krooked: We started a lot of ideas and exchanged a lot of knowledge. They’ve never used Bitwig before, or maybe just a bit, so we showed them some techniques. Nik installed it on his computer and we experimented making harmonic overtones. Super complicated stuff you can’t do in another sequencer. It was a lot of fun, we hope we can do it again some time. Four days of just pure nerding out, then? What a way to start the year. Four days with Noisia now a single with UKF…. Camo: Yeah Atlas was the last thing we finished off in 2018 and we took a break. Then when 2019 dropped we went straight in. We’re ready, we’re present and we’re looking forward to making new music. We’re fully motivated and excited to back in on the attack again. You need that break sometimes, right? Amazing. And the new stuff starts with Atlas… This is your first original new tune since Mosaik, right? Camo: Yeah, it’s kinda the comeback single. Not that we went away. We’ve done a couple of remixes, we’ve learnt a lot, switched from Fruity Loops to Bitwig and really developed things. We wanted to find our sound for 2019 before we started releasing again because it was more important to have stuff we’re happy with. The quality has to be more than the quantity. We’ve worked on it and now we’re super motivated to smash it again and produce something that matters and stands out. Krooked: It has that rawness in the synths that we always like. With the breeze of organic sounds over the top of it. That’s what we’re always aiming for. We have our sound set we like to use but we don’t recycle any single sound we make. Everything is done fresh, even the drums. A new drum kit is only used once. And this is why it takes us longer to release tunes, we don’t want to chuck in things we’ve made before. But if the drums are good then why not use them again? Camo: Oh for sure. But every time you make a snare you learn something new. If you reuse something you don’t learn anything. It’s important for us to learn or develop with every tune. Releasing a tune doesn’t bring you further in terms of production. But if you give yourself a challenge to make the drums for each tune you find different and unusual ways to make them and you will become a better producer as a result. The idea is always to try and get so good you can smash it out and you don’t have to worry any more. Then, and only then, are you at the final stage of production! Ha! Who’s the end boss? Krooked: The end boss is yourself! It gets more difficult. You never reach that stage because you get better and your ears are developing. It’s gets harder and harder and it’s more rewarding because everything gets better sonically and you hear things in the tracks you didn’t hear before. Actually I guess the end boss is you giving up. But we’re never doing that! Camo: It’s true. The better you get, the harder it gets. Every tune is the next level. You are better but the level gets higher… And that makes it more fun and rewarding. So all this sounds like you’re about to drop singles and EPs rather than have us waiting for another album like you did between Zeitgeist and Mosaik? Krooked: Exactly. We’re not even thinking about an album again. We want to have a real clear idea in mind about how it should sound. But, for now, it’s more of an experiment phase. Like collaborations with Noisia, for example. It enables us to do stuff that we wouldn’t do on our own but we find interesting. So that could be collabs with peers in the genre or people from outside the genre. We just want to see how far we can stretch our sound and how it still sounds like us. We’ve stared a lot of collaborations that are really exciting for us. we want to make stuff that piques our interest in something we might want to explore for an angle. Camo: But to answer your question you won’t have to wait long. We have lots of good material, we’ll finish one after another and start more and more. There’ll be a lot more pressure from us this year and he next and more continuity in the releases. We’ve had our gaps between our releases but we’ve done our learning and we want to put some pressure on the whole game again. 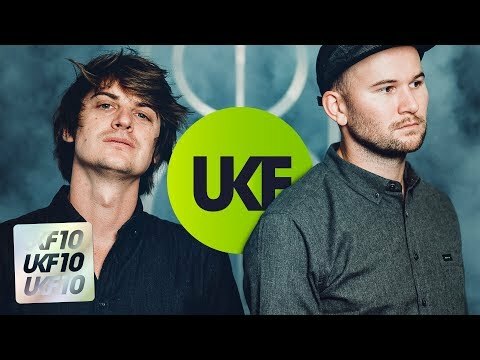 Kicking off with Atlas on UKF10! Krooked: The cool thing about Atlas is that nostalgic feel to it. It’s got the old Camo & Krooked sound, the new Camo & Krooked sound and it fits the UKF sound. You guys and we both have a wide church of sounds and UKF has been with us right from the beginning so it’s cool to have that vibe on the tune. 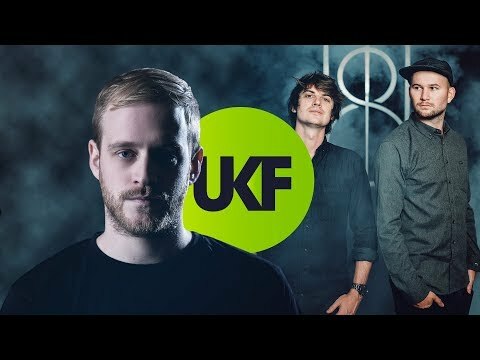 Krooked: It’s cool to see UKF aiming for a new sound, it’s never stagnated on a certain sound and has always represented all ranges and always brings in new people. It’s not just the same names, there’s always new people coming in and it’s great to see that supported. That’s always been the mission! Last year you told us your favourite UKF upload was Noisia’s Shellshock. Any movement on that? Krooked: Still is. You listen to that now, five years ago, five years time… It will always sound fresh. It’s timeless. It doesn’t follow a certain recipe in drum & bass. I remember when it was on dubplate, before it was released, I was like ‘Wow! This is like nothing I’ve heard before.’ It’s forever next level. Camo: At the moment we’re putting out focus on making music because so much work went into the live show over the last 18 months. Now our lives are back to making music because that’s what it’s all about. If you have great tunes they work without you having to do anything extra. Krooked: But we will be doing a few live shows, but they’ll be in a 2019 context with new music. The idea is always to present the music in the best possible way, so in a few months time we’ll consider this. That hybrid idea of DJ/live show has been put back on the shelf for a bit. We’re too busy in the studio and having lots of fun. It’s like digital playground! You seem particularly inspired right now! Camo: Inspired and super excited. Musically we’ve been behind the curtain, trying to learn and move forward. Now we’re confident we can come back with some next level Camo & Krooked music. We can’t wait.